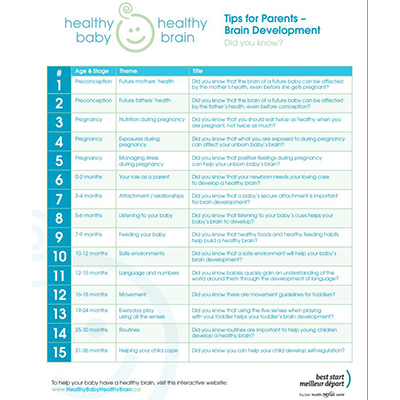 Best Start developed a series of 15 tip sheets that provide parents and future parents some practical suggestions to support their baby’s brain development. These messages complement the information provided on http://www.healthybabyhealthybrain.ca. as a PDF, easy to print, in English and French.